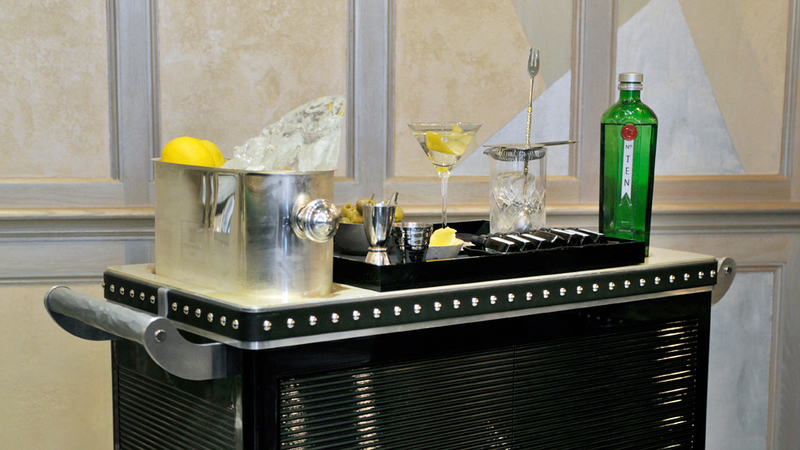 You don’t sit at the bar for a martini at the Connaught—you let the martini cart come to you. “It’s easily one of the most elegant rooms I have ever sat in,” says Joaquin Simó, co-owner of Pouring Ribbons in NYC. Once you’re seated, “Ago Perrone, the finest barman alive and working today, wheels over a custom cocktail cart. He expertly stirs up a crystal pitcher’s worth of gin and vermouth. Into each glass goes a different flavor tincture. The martini didn’t originate in New Orleans, as many other classics did, but the city is still an incredible spot to appreciate any historical cocktail. Pretty Baby Bar, according to Jim Kearns, partner and beverage director of NYC’s Slowly Shirley, is as atmospheric as they come: the Columns Hotel “with a large patio and balcony for watching streetcars go by or listening to live jazz,” and the bar, “a perfect contrast to it, with a dark, elegant, quiet setting for having a cocktail and passing the time.” His drink of choice: 2:1 Plymouth gin and dry vermouth, with an olive. Having won numerous accolades over its years in operation, this hidden-away bar executes the classics perfectly, and makes a martini to the perfect specifications of Aaron Polsky, bar manager at Harvard & Stone: “Stirred in a frozen mixing glass over -40º cracked ice, served in a frozen coupe in an air-conditioned room.” Another martini variant he loves, also beautifully made at The Varnish: The Tuxedo #2, which incorporates dashes of maraschino and absinthe, garnished with a lemon twist and a cherry. This basement Melbourne lounge, as the name suggests, is well-versed in all things juniper. “[Bar manager] Trish Brew and her crew just know their gin back to front,” says Kevin Peters, bar manager at the Garden State Hotel, also in Melbourne. “They are all welcoming and always happy to offer their opinion, or just make up your favorite concoction.” A huge variety of vermouths, tonics, and sodas complements the gin selection; Peters’s favorite martini of the moment is two parts Le Gin G1&9 to one part Noilly Prat Dry Vermouth, garnished with an orange twist. Gin (or vodka) and vermouth are the two key components of a classic martini, but Star Bar Ginza in Tokyo, one of the premiere cocktail bars in the city, has their own twist: “They use two different temperatures of Beefeater gin,” according to Naoya Ohtake, head mixologist of MASQ in Tokyo. “One frozen, and one room temperature.” The two iterations of Beefeater Crown Jewel are stirred together with Sacred Extra Dry vermouth and served with a grapefruit peel. 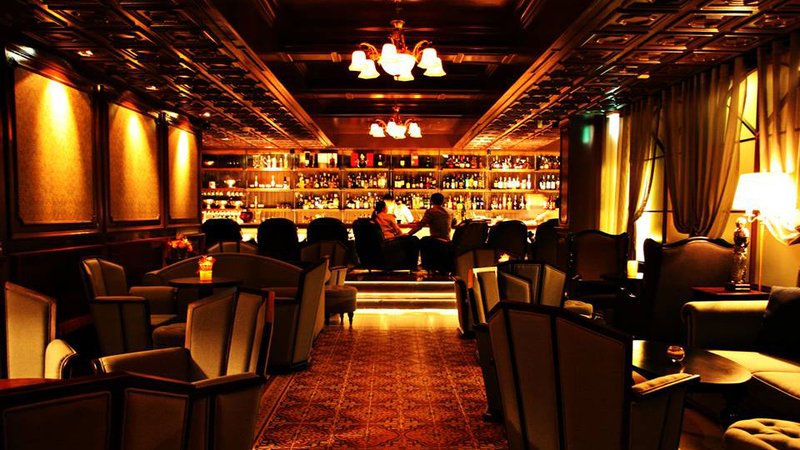 “This bar is amazing,” according to Johnny Swet, cocktail and beverage director of Jimmy at the James in Manhattan. “Paris isn't known for great martinis but after roaming the streets of the Marais, this is an awesome find.” Chic bartenders execute precise martinis, including Swet’s drink of choice, a 50/50 gin-dry vermouth martini with orange bitters.